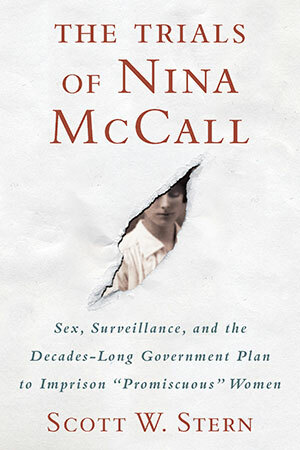 In 1918, shortly after her eighteenth birthday, Nina McCall was told to report to the local health officer to be examined for sexually transmitted infections. Confused and humiliated, Nina did as she was told, and the health officer performed a hasty (and invasive) examination and quickly diagnosed her with gonorrhea. Though Nina insisted she could not possibly have an STI, she was coerced into committing herself to the Bay City Detention Hospital, a facility where she would spend almost three miserable months subjected to hard labor, exploitation, and painful injections of mercury. Scott Stern tells the story of this almost forgotten program through the life of Nina McCall. Her story provides crucial insight into the lives of countless other women incarcerated under the American Plan. Stern demonstrates the pain and shame felt by these women and details the multitude of mortifications they endured, both during and after their internment. Yet thousands of incarcerated women rioted, fought back against their oppressors, or burned their detention facilities to the ground; they jumped out of windows or leapt from moving trains or scaled barbed-wire fences in order to escape. And, as Nina McCall did, they sued their captors. In an age of renewed activism surrounding harassment, health care, prisons, women’s rights, and the power of the state, this virtually lost chapter of our history is vital reading.